Invictus, the scent of victory the essence of heroes. Invictus by Paco Rabanne is an ecstatically addictive masculine fragrance, truly a powerful adrenalin shot for serial winners. This sensual and masculine fragrance celebrates power, courage and victory. This Aquatic, woody and sporty fragrance distilled into a daring smash-up of freshness and heat embodies modern masculine strength. Explore the entire range of Perfumes (EDT & EDP) available on Nykaa. 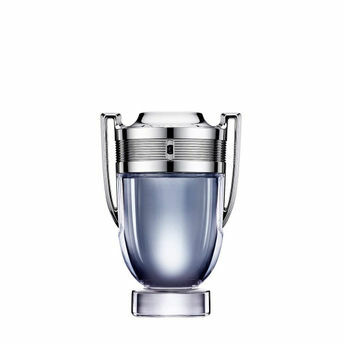 Shop more Paco Rabanne products here.You can browse through the complete world of Paco Rabanne Perfumes (EDT & EDP) .Alternatively, you can also find many more products from the Paco Rabanne Invictus Eau De Toilette range.